Your tech has visited today for the commissioning of our AC. Although we’ve only used it for a couple of days since its installation, we’re really happy with it. We hadn’t realised how deficient our old system was. I just want to thank you for your time in the New Year, when you were extremely busy, and for doing such a great job with planning and organising our new system. We were really happy with the installation crew, and also with the work that your recommended plasterer did for us. Please pass on our thanks to them. Thanks again for a efficient and effective new AC system. 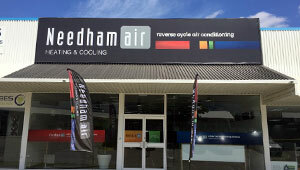 In the past, I’ve always been happy with the service provided by Needham Air and continue to be so. Your team completed an air conditioning installation at our home in Dalkeith yesterday within the day as contracted. 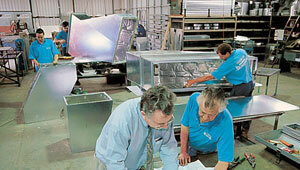 Our dealings with all the staff involved was excellent. They knew their jobs, were organised and courteous. Well-trained locals illustrate that we can provide great customer service in this country! Thanks for all your work over the years – we have used Needham twice for major instalments in our Wembley house and then our Dalkeith house. I would never use any other company ! The job was very professionally considered, and Dean was outstanding in the time he spent discussing our concerns. Mark is a professional and efficient installer who considered the difficulties of the installation carefully, asked questions for approval before proceeding, and cleaned up perfectly before leaving. It was a pleasure having him in the home to install the units. On behalf of my sister, the owner, thank you to all at Needham for all their consideration and care in making this significant investment in the property. Could you also thank Sandra for the electronic manual. Firstly apologies for the time taken for me to send this. I wanted to thank you and the guys who were onsite doing the work. I could not have been happier with the way you dealt with the challenges of finishing off the work and getting everything working as promised when we first purchased the system a couple of years ago. My feeling was that you needed to cover your costs to finish the work and get a good result for me which from my perspective was much appreciated. In summary I could not have been happier with the service you gave.